We held the First Christensen Family Olympics this weekend. 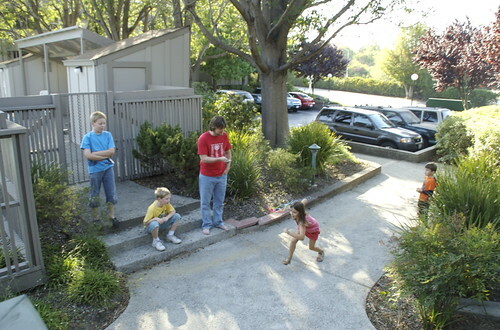 The kids had been busy working on this for the past few weeks; planning & plotting how they would compete against their cousins… They set a course up around our apartment complex and did their best to beat each other’s time running, skipping, and jumping. They also wanted to have swim races, but by the time they got to the pool, they forgot about it & just monkeyed around.